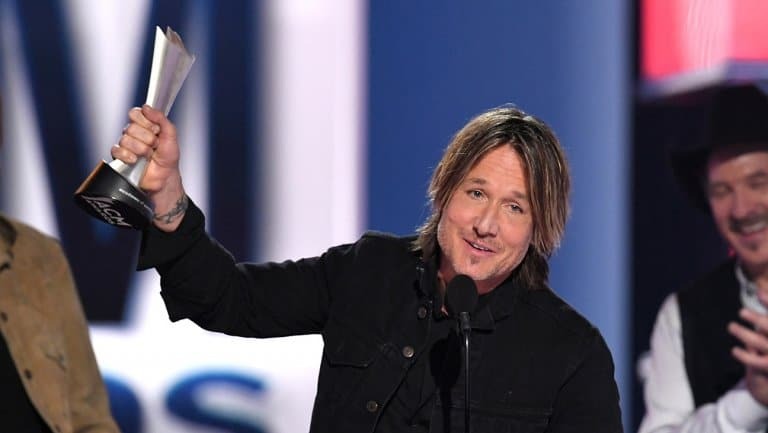 Keith Urban was named entertainer of the year at the Academy of Country Music’s annual ACM Awards on Sunday night. After his name was called for the award, which is the group’s top honor, Urban kissed wife Nicole Kidman, who was sitting by him in the audience, and was hugged by Jason Aldean and Chris Stapleton on his way to the stage. In his speech, he gave a shoutout to Kidman along with their two daughters, Sunday and Faith. Reba McEntire hosted the show, which aired live on CBS from the MGM Grand Garden Arena in Las Vegas (tape-delayed on the West Coast), and she also performed. During her monologue, she called out the ACMfor not nominating any female singers in its top category, entertainer of the year.